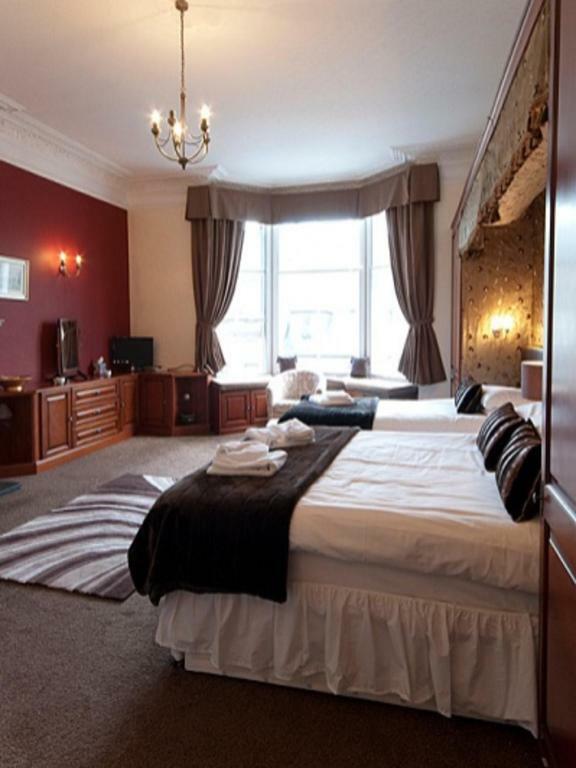 In the heart of Edinburgh’s New Town, Castle View Guest House is less than 100 metres from Princes Street. 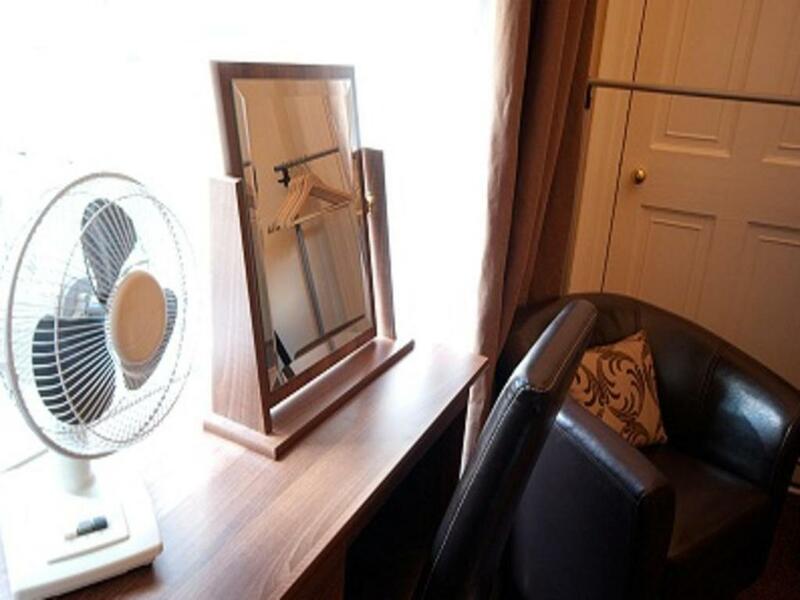 It has lovely views of Edinburgh Castle and offers free Wi-Fi and hearty breakfasts. 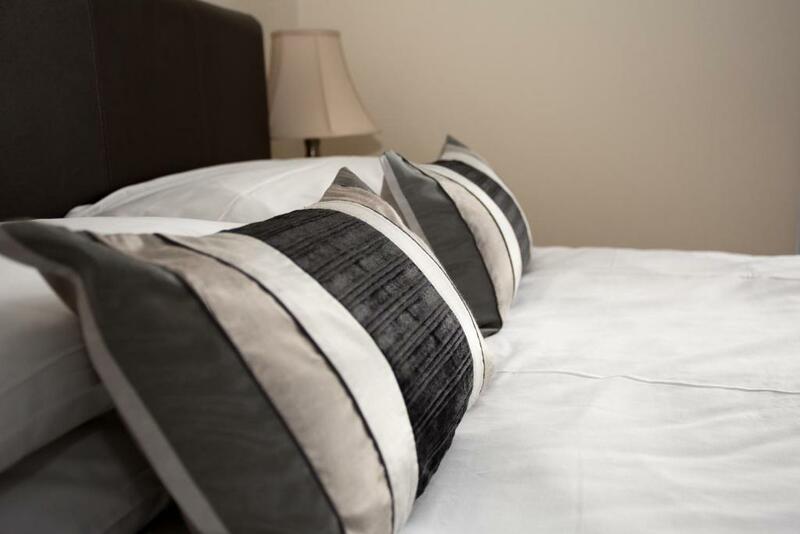 Stylish, classically decorated rooms all feature a TV, free tea and coffee and ironing facilities. They either have in-room bathroom facilities or a separate private bathroom. Castle View is set across several floors of a Georgian town house, which is also the birthplace of the author of The Wind in the Willows. It is surrounded by bars, shops and is 0. 5 miles from the Scottish Gallery. The bright, airy dining room serves both traditional full Scottish offering fresh and high standard products from a local butcher and continental breakfast options. For evening dining, guests have a choice of restaurants within just a few metres’ walk. When you make your booking, please inform Castle View Guest House of your estimated time of arrival, using the comments field provided. Please note some of the rooms require guests to climb a number of stairs. Due to the age and listed nature of the building, there is no elevator, however hotel staff will offer to help with luggage where possible. Please note no smoking in the building and the charge for anyone found smoking is GBP 100.00 to cover cleaning. Guests causing any damage will be held responsible for costs. No visitors allowed unless by arrangement. Please also note if you have any special requirements such as food allergies, limited mobility or disability you should inform the hotel at the time of booking. As the building is historical there is no lift and guests will be required to climb stairs. There are no facilities for guests with mobility issues. This room features free Wi-Fi and tea and coffee making facilities. 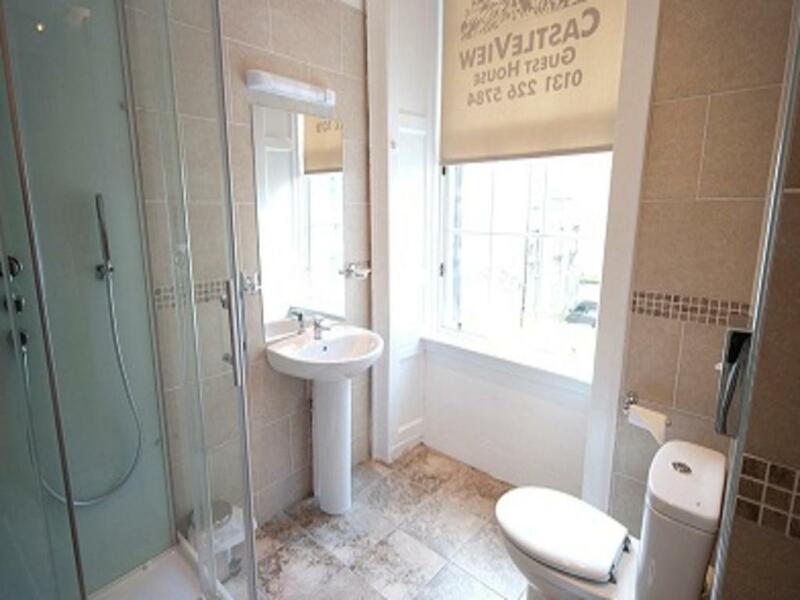 The en suite bathroom offers complimentary toiletries and a hairdryer. 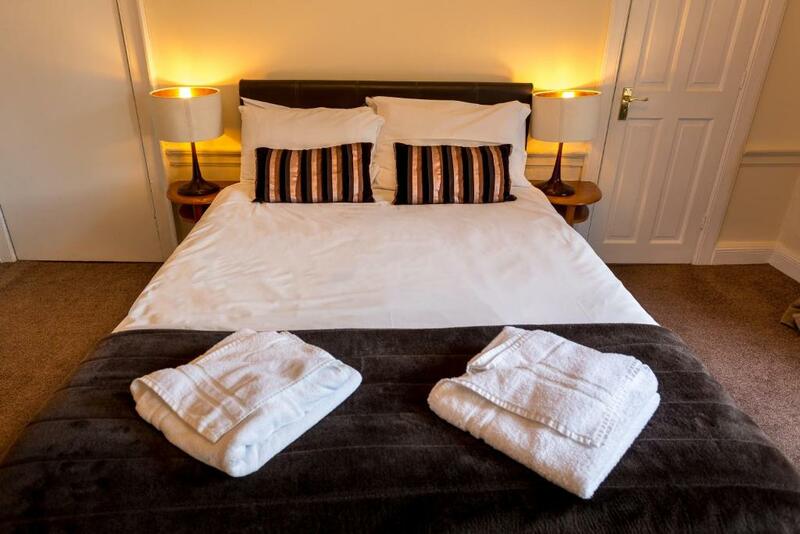 Each room features a TV, complimentary tea/coffee-making facilities and free Wi-Fi. The staff were friendly, polite and helpful. Breakfast was great - choice, qua;ity, and speed of service greatThere was a problem with the heating during our stay which also hit the hot water on our first day.The staff on duty dealt with the issue promptly. A heater was left switched on in our room so it would be warm when we came back and the hot water was restored the next day. We were offered access to an alternative shower in the meantime.It was a blip which was dealt with promptly and efficiently. Location. It is right next to rose street and princess street. We had a nice castle and city view. Tv has many good channels. Stuff was very helpfull. Cleaning was good. The location was excellent the staff were helpful, friendly and attentive when required. Its location, excellent staff, we felt home from home. We loved it and got a real feel for Edinburgh. We definitely will stay there again.1. We waited for 30 minutes just for the guy at the reception to come down to see us.2. The window in the room can't be closed, so we had to close the curtain and ignore the street sound.3. The room is so strange. Although it is spacious, it does not feel like a proper guest room. It has a spacious hostel feeling. The location was excellent and the price was good. Very close to attractions and shopping.Climbing the stairs after a days outing was rather tiresome. But not a very big problem. Staff were friendly, helpful and accommodating. Location was excellent, with stunning outlook of the castle from the street and from the bay window on the dining room. Our room for us and our adult son was large and well appointed.Breakfast was plentiful and of a satisfactory standard. I liked that the guest house was in town and close to restaurants and Edinburgh Castle and Old Town. We could walk everywhere we wanted to go. I liked the sunny breakfast room. I liked the fact that this was an historic building. The night manager was extremely helpful in ordering a cab for our early morning trip to the airport, he also set out an early continental breakfast for us, and also helped me check in at the airport and printed out our boarding passes. Very helpful person. I believe his name was Magic. The day manager - Martin - did carry our luggage up to the 5th floor. That was nice.Some of the breakfast food was good. I liked the ham and cheese and scrambled eggs. it was situated perfectly in the heart of the shops and the castle. as we were going to a concert at the castle it was ideal. it had quite a few stairs to get to the reception area though, and was pretty tired after carrying a suitcase to the top . the breakfast was lovely and all in all was a nice place. would stay there again .The fire alarm went on one morning. And wifi was sometime down. Great location and lovely, spacious room. Comfy beds.Manager was very helpful.I think the only thing I didn't really like was the quality of the food at breakfast. We had just come from a bed and breakfast on our trip that had fresh pastries and home made jams. And real butter. The crossants were dry and the jelly was flavorless. The location is superb! And the breakfast was good.It was quite noisy due to being on a busy street. Castle View Guest House rooms were spacious. Staff is very friendly andhelpful. Location of the hotel is central and easily accessed. Very muchin the heart of city's main shopping area. Restaurants are near.Breakfast served by the hotel was also very good. Location was excellent right in the centre of town, room was clean and comfortable and had no problems with anything.Since they provide wifi, it should upgrade to astronger enhancer so it stretches better frequency to the guest rooms. The room was really spacious and the location was ideal.Breakfast was pretty good too.Really small room for us! We can hardly walk inside the room after putiing our lugauage. It made us not feeling relaxing! At early morning, noise from downstairs ( may be collecting rubbish) woke us up. Our room cannot see the castle but only the back alley. Therefore, I thought the high price is not worthy. Staff was accommodating.Room was satisfactory.Breakfast meal was typical full Scottish, satisfactory.Outside city noise was very loud.Might have helped if we had closed both the roller shades (which we did) and the heavy drapes.Historic old windows not sound proof. 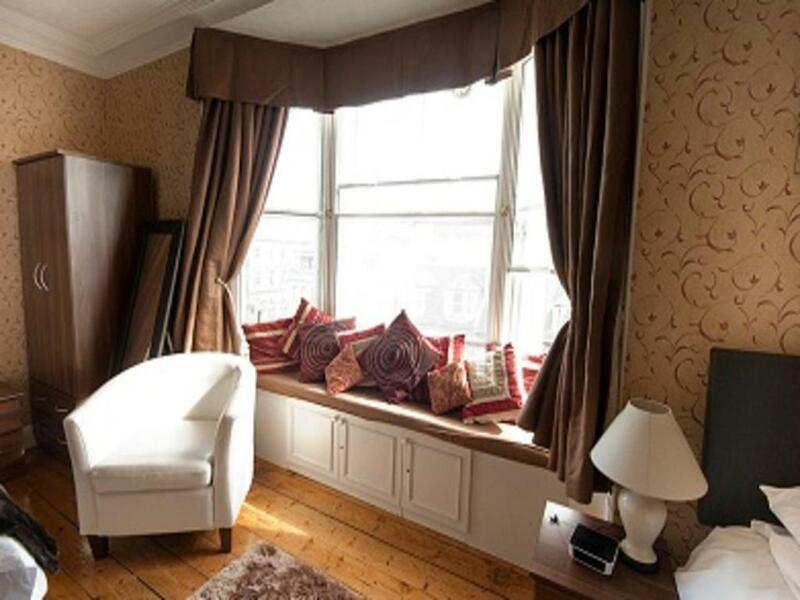 Famous author's house -- historic property.Wonderful big bedroom with plenty of room for kids and larger family, which is rare to find.Modern bathroom.Great location near Edinburgh castle and city.Restaurants right next door.It was quite noisy due to being on a busy street. 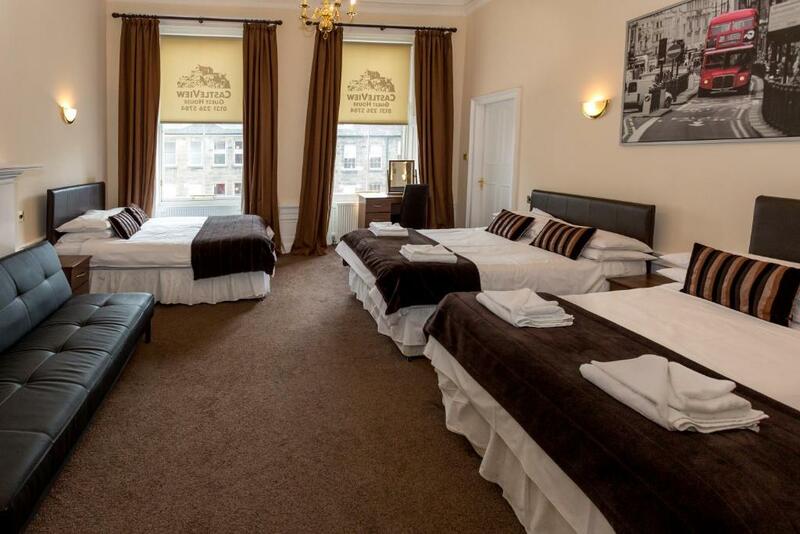 Clean and convenient for the fringe, staff helpful and efficientReally small room for us! We can hardly walk inside the room after putiing our lugauage. It made us not feeling relaxing! At early morning, noise from downstairs ( may be collecting rubbish) woke us up. Our room cannot see the castle but only the back alley. Therefore, I thought the high price is not worthy. Staff were friendly, helpful and accommodating. Location was excellent, with stunning outlook of the castle from the street and from the bay window on the dining room. Our room for us and our adult son was large and well appointed.Breakfast was plentiful and of a satisfactory standard.No warning of the many stairs + hard to find reception. 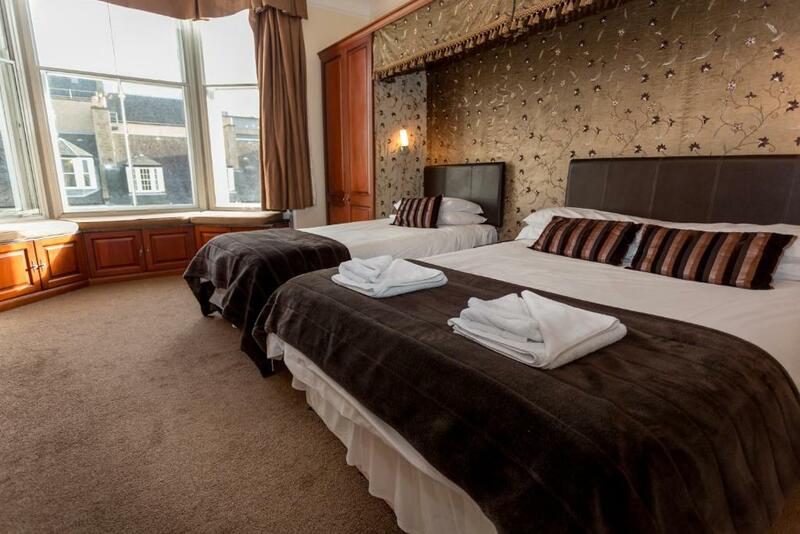 Very spacious room for 5 including adult sized children. Great locationin view of the Castle, just around the corner from lovely Rose St andPrinces. Easy walk to the old city. Clean with modern fixtures. Goodbreakfast selections available.The beds weren't super comfortable but not so uncomfortable that wedidn't sleep. I appreciated the friendliness of staff and the closeness to city attractions.1. We waited for 30 minutes just for the guy at the reception to come down to see us.2. The window in the room can't be closed, so we had to close the curtain and ignore the street sound.3. The room is so strange. Although it is spacious, it does not feel like a proper guest room. It has a spacious hostel feeling. Friendly, helpful and courteous natureof all staff. The view from our room was sepctacular.The location of the Guest house was what we were looking for ie,; proximity to the city centre and Speedy access to Public Railways and other educational ,finacial and other institutions., in particular walking distance to the World famous Edinburgh Castle.Taxi stand is just in front of the guest house, which makes journey quite easy.Breakfast was quite good and it met with all our expectations.The hotel needs lift for baggage and older people. location close to edinburgh old townOur Chioice of room was wrong, hence we could not get the comfrotwhat we were looking for from the bathroom and its accessories. Easy connection of my Kindle to their wireless (following difficulties elsewhere). The hotel staff were very helpful, the room had an amazing view of the Edinburgh castle. All in all it was a good stay.Climbing the stairs after a days outing was rather tiresome. But not a very big problem. Great location , good size rooms, plenty of choice for breakfast.room was dark, dingy and stuffy.The bathroom wall almost obliterated the window although their web page showed my room differently.Road works went on all through the night.Local residents advised that these works are long-standing and ongoing so should have been warned in advance. Very friendly staff and very helpful. Rooms were clean and nice. Easy connection of my Kindle to their wireless (following difficulties elsewhere).room was dark, dingy and stuffy.The bathroom wall almost obliterated the window although their web page showed my room differently.Road works went on all through the night.Local residents advised that these works are long-standing and ongoing so should have been warned in advance. My favorite hotel of all three areas we visited during our trip. Thelocation is magical, the room was very large and accommodated our familyof five quite nice. I would choose this location for every trip toEdinburgh. I thought the staff was extremely helpful and nice. The room wasspacious and extremely clean. We booked a room for three people and gota large room with three full size beds. The showers had great waterpressure and were also very clean. Great location , good size rooms, plenty of choice for breakfast.The beds weren't super comfortable but not so uncomfortable that wedidn't sleep. Friendly, helpful and courteous natureof all staff. The view from our room was sepctacular.The location of the Guest house was what we were looking for ie,; proximity to the city centre and Speedy access to Public Railways and other educational ,finacial and other institutions., in particular walking distance to the World famous Edinburgh Castle.Taxi stand is just in front of the guest house, which makes journey quite easy.Breakfast was quite good and it met with all our expectations.No warning of the many stairs + hard to find reception. Good breakfast; nice staff; very convenient locationI think the only thing I didn't really like was the quality of the food at breakfast. We had just come from a bed and breakfast on our trip that had fresh pastries and home made jams. And real butter. The crossants were dry and the jelly was flavorless. The location was perfect our room was large and comfortable and true to its name you can see the Castle.The staff was helpful, friendly and very accommodating, thanks again Castle View our stay was wonderful. Very spacious room for 5 including adult sized children. Great locationin view of the Castle, just around the corner from lovely Rose St andPrinces. Easy walk to the old city. Clean with modern fixtures. Goodbreakfast selections available.The fire alarm went on one morning. And wifi was sometime down. The breakfast was amazing.! The room was really nice. Wifi was free andthe location is perfect. Right in the middle of the new town and oldtown. 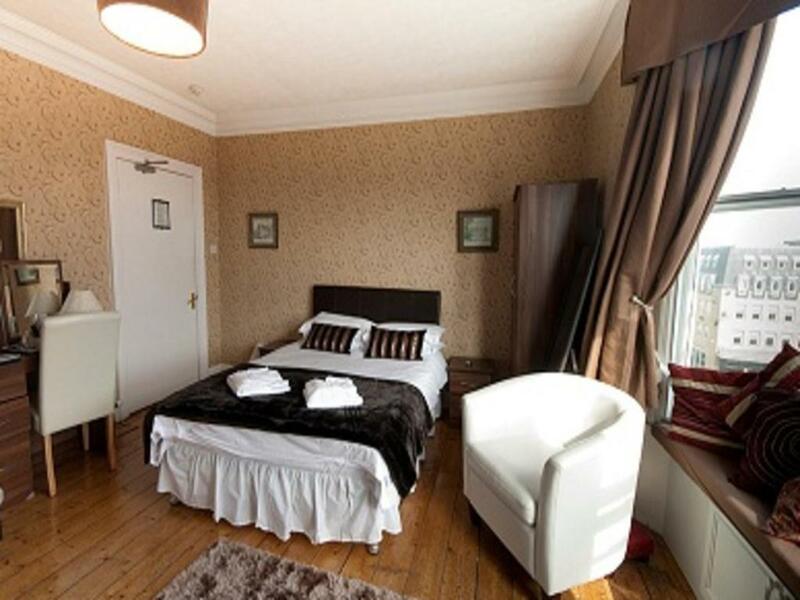 Close 7 minutes walk from edinburgh train station. 5 minutes walkfrom cool museum. 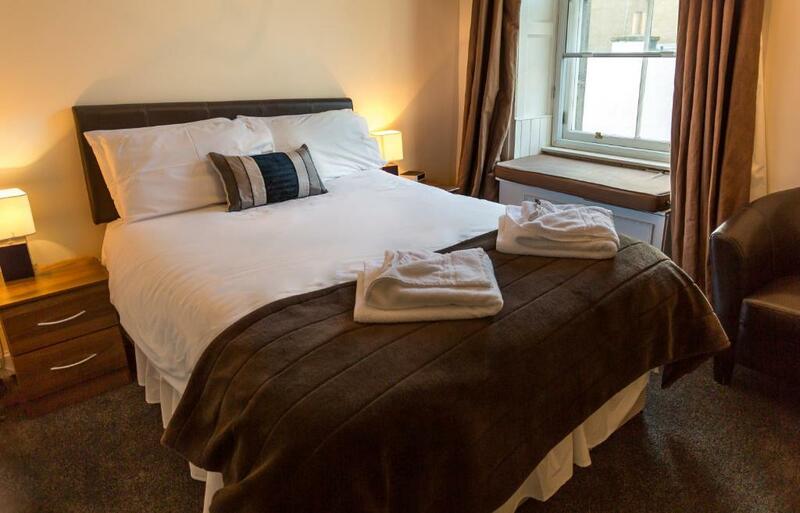 Great location close enough to Edinburgh castle and the old part of townby a convenient walk, but also in the more modern part of town for greatrestaurants and shopping and far enough away from the overly touristrestaurants. Rooms clean and bright. Staff very friendly. Complimentarybreakfast -- great selections and excellent. the hotel was clean the staff was friendly and we certainly got more than our money worth from the room etc,the rooms are spacious and have everything you need to enjoy your stayReally small room for us! We can hardly walk inside the room after putiing our lugauage. It made us not feeling relaxing! At early morning, noise from downstairs ( may be collecting rubbish) woke us up. Our room cannot see the castle but only the back alley. Therefore, I thought the high price is not worthy. it was situated perfectly in the heart of the shops and the castle. as we were going to a concert at the castle it was ideal. it had quite a few stairs to get to the reception area though, and was pretty tired after carrying a suitcase to the top . the breakfast was lovely and all in all was a nice place. would stay there again .The hotel needs lift for baggage and older people. I liked that the guest house was in town and close to restaurants and Edinburgh Castle and Old Town. We could walk everywhere we wanted to go. I liked the sunny breakfast room. I liked the fact that this was an historic building. The night manager was extremely helpful in ordering a cab for our early morning trip to the airport, he also set out an early continental breakfast for us, and also helped me check in at the airport and printed out our boarding passes. Very helpful person. I believe his name was Magic. The day manager - Martin - did carry our luggage up to the 5th floor. That was nice.Some of the breakfast food was good. I liked the ham and cheese and scrambled eggs.Our Chioice of room was wrong, hence we could not get the comfrotwhat we were looking for from the bathroom and its accessories. Clean and convenient for the fringe, staff helpful and efficientIt was quite noisy due to being on a busy street. This guest house was perfect-clean, yummy breakfast, handy to train station, handy to rental car collection point, and to central Edinburgh. I wouldnt stay here again,there was no reception area and initially when I booked I thought it was a hotel but its a guesthouse.There was no view from the window only down to a yard underneath.When you enter the building its just cold stairs in front of you, its just not nice at all,I would have left straight away but I would have lost my deposit and as I was with my niece and we would not spending any time in the place I braved it out.The food was fine but apart from that its a real cold building and the noise from the shower and every time you flush the toilet was outrageous.The wind was howling through the bedroom door and there was no phone in the room which made me feel real uneasy.I wouldnt recommend it at all unless your very young and passing through for a night. Castle View Guest House rooms were spacious. Staff is very friendly andhelpful. Location of the hotel is central and easily accessed. Very muchin the heart of city's main shopping area. Restaurants are near.Breakfast served by the hotel was also very good.Previous guest's hair in room -- long dark hair. Room with its single bed against the felt cramped. It was a surprise to find out that the bathroom was along the landing i.e. no unsuite. Your experiences are very helpful to other travellers. On a scale of 1-5, rate the equipment you have used during your stay at the hotel Castle View Guest House and express your opinion. Your opinion is important! I certify that this review is based on my own experience and is my genuine opinion of this hotel (Castle View Guest House), and that I have no personal or business relationship with this establishment, and have not been offered any incentive or payment originating from the establishment to write this review.